With four different Restaurant Weeks, it's safe to say that food is the main event this week! The holidays are over (finally) so now is the time to wind down and do activities that you love doing -- for yourself. If you're a foodie, you are going to love this week's roundup! Use this compiled list as your guide to planning something fun for this weekend! Here's your DMV weekend roundup for Friday, January 18, through Monday, January 21. D.C.'s Winter Restaurant Week | Fri.–Sun. Between January 14 and 20, Restaurant Association Metropolitan Washington (RAMW) will be holding its annual Winter Restaurant Week, where participating restaurants offer special menus featuring three-course meals at discounted prices. Restaurants are required to offer three-course meals, or options valued to be the equivalent of a three-course meal. With exactly 250 places on the roster (! ), you’ll have lots to choose from. Twelve Angry Men | Ford's Theatre | Fri.–Sun. Whether you’ve read the play before or watched it, no can deny that Twelve Angry Men and its themes will always have a place in society. Ford's Theatre's presentation opens this weekend and runs through February 17. Find out more here. Party with wax versions of your favorite celebs after hours, starting at 6:30 p.m. sharp! Enjoy a fun evening as you solve a mystery (involving a multitude of celebs) and work your way through the Wax Museum. This is a great date night idea! For further information, check out the event listing here. See the popular rock-and-roll movie in a live-action musical. Jack Black was the star of this hit movie, but the play lives up to the standards. This is the perfect event for the whole family to go see. Tickets are just $49 each. For more information and to purchase your tickets, check out the event here. Enjoy the chill of winter in Washington, D.C.'s largest outdoor skating rink with a view of the beautiful Washington Harbor. Nothing is more fun to distract you from the cold than attempting to balance on your sharp blades to stay on your feet! Prices range from $9-$12 per person -- a very reasonable price! For more information, check out the event here. In addition to the annual parade honoring Martin Luther King Jr., the organizers actually have a full calendar of commemorative events planned. The day will begin with the Peace Walk Program at the Black Workers Wellness Center at 9 a.m., followed by the actual Peace Walk at 11 a.m. The parade takes place from 12 to 2 p.m., and you can watch it from Historical Downtown Anacostia and from the Parade Viewing Stand at 2500 MLK Ave. SE. A health and community fair will be in progress from 12 to 3 p.m. at the Gateway Pavilion (2730 MLK Ave. SE). You may have seen curling on TV during the winter Olympics, but have you ever wanted to try it for yourself? Combine this Canadian tradition with a couple winter cocktails and some good friends, and you’ve got yourself a pretty solid Monday night. Learn more here. Baltimore Restaurant Week | Fri.–Sun. 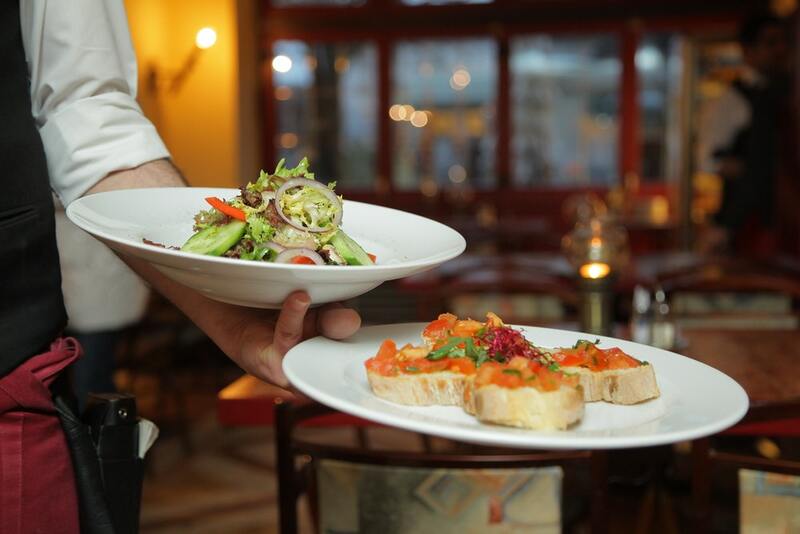 Enjoy some delicious food at fancier restaurants for a lower price! Baltimore Restaurant Week offers a wide variety of options so you can find your new favorite place to eat! Guests can get a two-course brunch and lunch for $12-20, and a three-course dinner between $20-$35. Be sure to make a reservation at the restaurant you choose. For more information, check out the event here. Looking for a way to enjoy some post-Christmas shopping? Head on down to Jessup, Maryland, for live entertainment, shopping, food vendors, and fun. Did I mention there will be a dessert display? Admission is free! For further information, check out the website here. Located in Anne Arundel County, Maryland, the ice rink offers affordable ice skating, ranging in price from $5 for children and $6 for adults. Only cash or check is accepted. For more information, check out the skating rink here. Venture into Alexandria for the Winter Restaurant Week! From cafes to Irish pubs, there is sure to be a restaurant participating that will satisfy your taste buds! There will be 65 total restaurants, and 35 of them will be offering lunch specials! Dinner will feature a $35 three-course dinner for one or a $35 dinner for two. The lunch and brunch menus are priced at just $15 or $22 per person. Be sure to make a reservation at the restaurant you choose. For more information on who will be participating, check out the event here. Head into Downtown Norfolk, near Waterside, and enjoy a delicious dinner in the heart of the city. There will be 22 total restaurants offering a wide variety of options, from seafood to Mexican food! Be sure to make a reservation at the restaurant you choose. For more information about who will be participating, check out the event here. Trevor Noah is traveling all over the United States with his Loud and Clear stand-up tour, and on Friday, January 18, he’s stopping in Norfolk, Virginia, for one night only. Noah’s shotgun honesty is what makes him stand out from the rest of comedians. This is a show you don't want to miss. Parking for the event is simple as there are two parking garages on either side of the building. Tickets start at $60 each. Get them here. Head on down to the Virginia Museum of Natural History, located in Martinsville, VA, to experience the reptiles up close and personal. The guides will be providing information sessions so you can really get to know them. This is the perfect event for the whole family. For more information, check it out here.